In the end, Tulip Siddiq’s selection victory was beyond doubt, but for weeks and months the debate about who would succeed Glenda Jackson MP as the party’s candidate to fight the next election was anything but certain. For a long time Aliaster Campbell’s partner and formidable activist and writer in her own right, Fiona Millar had been hotly tipped to take the seat. But at the eleventh hour she ruled herself out. It was left then to Deputy Mayor of Hackney council Sophie Linden, Camden Councilor Sally Grimson and fellow Camden Councilor Tulip Siddiq to fight it out for the nomination in this most coveted Westminster seat. There were rumors of smear campaign against Siddiq: First because she is the niece of Bangladeshi Prime Minster Sheikh Hasima, and secondly because she had her picture taken with the Russian Prime Minister Vladimir Putin. The claims were that she is from the governing elite. 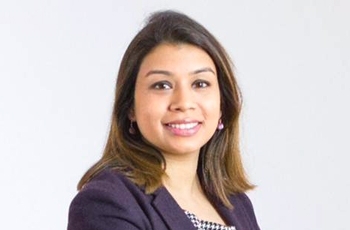 In the end, Siddiq came through, and if she can hold onto the narrow majority the present MP holds, she will be only the second person of Bangladeshi heritage to have been elected to the House of Commons. Rushanara Ali made history in 2010 when she won the seat in Bethnal Green.